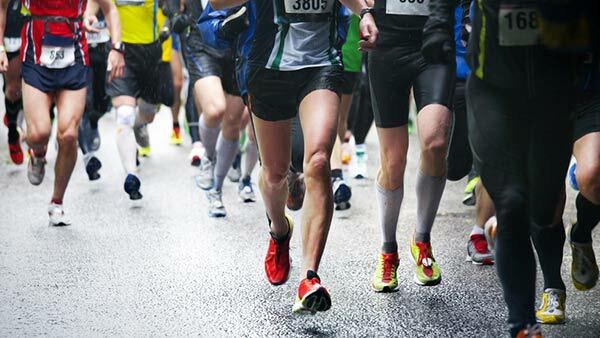 SCRANTON, Pa. -- Authorities say a woman collapsed at the end of a half marathon in Pennsylvania and died at a hospital. Thirty-six-year-old Lindsay Doherty collapsed at the end of Sunday's 13.1-mile (21.1-kilometer) Scranton Half Marathon. The Lackawanna County coroner planned an autopsy Monday on the married mother of three. The Roman Catholic Diocese of Scranton says Doherty worked in its development office, raising money for Catholic education. A special prayer service was scheduled for Monday night at St. Paul's Parish in Scranton, where she was a member. The Scranton resident had run the half marathon the previous year. Medical workers, including two emergency room physicians, worked to resuscitate Doherty at the race before she was taken to the hospital.